I never really enjoy Mother’s Day, for me it is a day of sadness mixed with guilt. If I don’t have a good time I’m not recognising the love of my own children and denying them a day of spoiling me and making me happy. I lost my mother before I had children so Mother’s Day has always been bittersweet. This year for the first time I had the opportunity to change that. Mother’s Day in the US is not until May, so on Sunday (Mother’s Day in the UK) I was able to remember Mum without feeling guilty that I wasn’t getting into the spirit of the day for my own kids. I wasn’t able to visit Mum’s grave with flowers but it was fine to be sad and reflective. In fact my children now appreciate that Mother’s Day is tough. 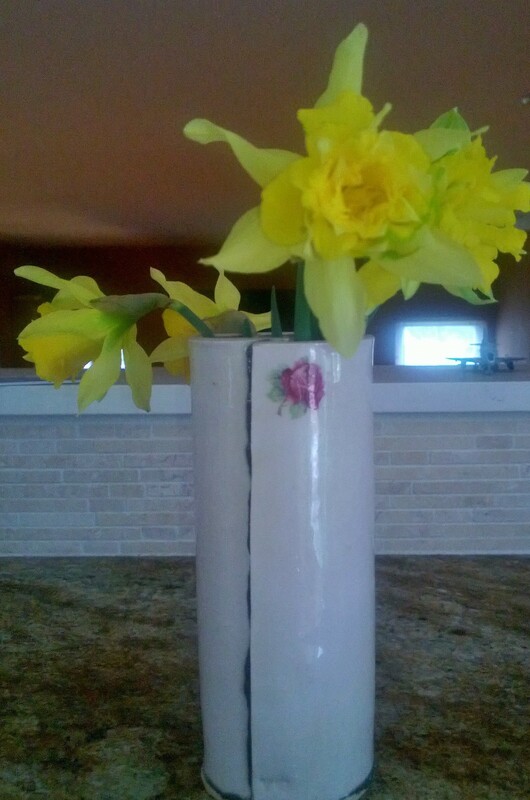 My husband and the girls brought me breakfast in bed, with a vase of daffodils from the garden. They went out shopping and came back with proper Cornish pasties for lunch and my favourite sweets in a Welsh mug. It was really lovely to feel that they had bought them to say, we know it’s a tough day but we love you and want to make it better. I could even spend the day cleaning the house because it made me feel better. I’m so glad that I no longer need to wrestle with my conscience on Mother’s Day and when US Mother’s Day comes, I’ll make sure it is a special, happy family day.